We believe in providing the best. We value your investment, therefore, we don’t offer cheap systems but only the one which should last for long years. We don't offer what we have but offer what is best suited for your requirement. With this philosophy Rebound Ace India (RAI) is operating successfully in this industry. The road map of Rebound Ace India (RAI) is to start the manufacturing in India with a joint venture with Rebound Ace Sports, Australia (RAS), which is a pioneer entity engaged in the manufacturing of innovative sports surfaces systems which reduce leg, ligament and lower back strains and injuries, while enhancing performance levels through a patented multi-layered cushion design. Presently all the material is being sourced and imported from Queensland, Australia. Rebound Ace is well known through the use of Rebound Ace Grand Slam at the Australian Open. 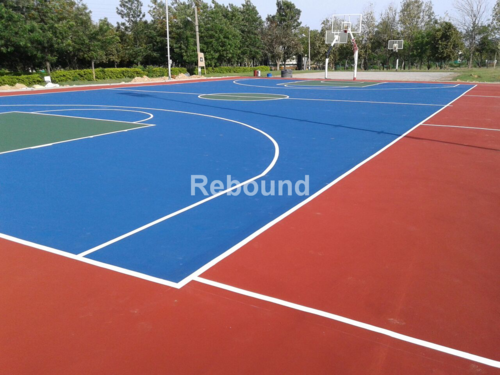 This surface and others from the extensive Rebound Ace range are used for tennis, netball, basketball, volley ball, badminton, futsal, gymnastics and other multi-sports. Rebound Ace surfaces for tennis are extensively used in Olympics, Youth Olympics, Commonwealth games because of its toughness and integrity and in private clubs, schools, colleges and resorts through out the world, due to its durability and ability to withstand and perform outdoors in the harshest of environments for many years.